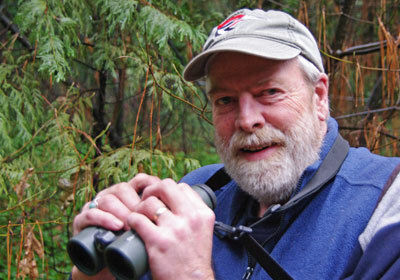 Ted Beedy is one of the preeminent birders in Northern California (and beyond). A biologist and ornithologist, he has co-authored Discovering Sierra Birds and Birds of the Sierra Nevada. A lifetime love of birding has made him a much sought-after expert – an outing with Ted will have you looking with new eyes at these lovely creatures. As an experienced strategist for non-profits, Janet Cohen has secured tens of millions of dollars in grant funding for environmental causes. She was a key early player in the acquisition and conservation of BYLT’s largest landholding – 2,700 acres on the Yuba River known as Rice’s Crossing Preserve. Besides working with a number of conservation groups, Cohen served as the Executive Director of South Yuba River Citizens League for four years and mobilized thousands of volunteers to clean up trash in Sierra watersheds. She was an important player in the community effort to forever stop dam construction on the river and helped secure Wild and Scenic status for the Yuba. She developed the first Great Sierra River Clean Up and started the first Wild & Scenic Film Festival, now the largest environmental film festival in the nation. 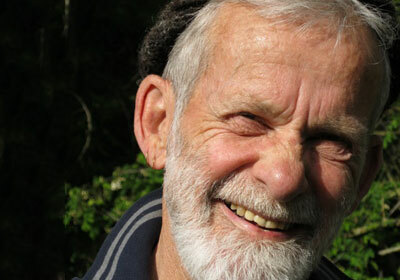 Cohen is the winner of the 2005 River Network River Hero and wrote the first “Climate Change Toolkit” for the Sierra Nevada Alliance. 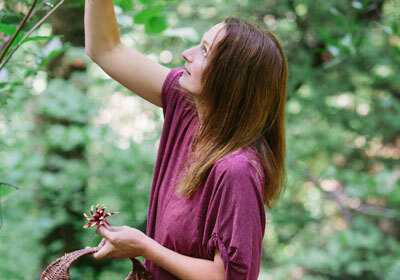 Alicia Funk is the founder of the Living Wild Project and co-author of Living Wild—Gardening, Cooking and Healing with Native Plants of California. She lives off the grid with her husband and their three children. She first studied plant-based medicine in 1990 from an indigenous grandmother in Ecuador’s rainforest. 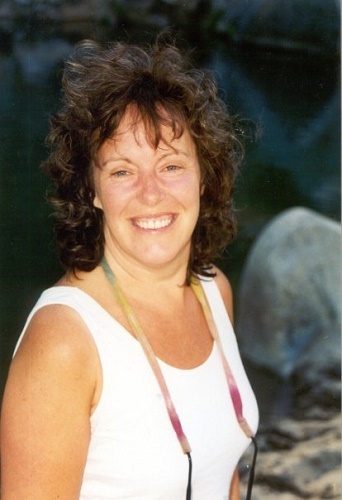 She is the editor of six publications on herbal medicine, including and her Living Wild books and programs www.livingwild.org support environmental and cultural conservation. Funk is a long-time supporter of BYLT and believes strongly in the organization’s mission. She has led nature walks, orchestrated art shows and provided books and native plant baskets in support of BYLT. For nearly three decades, Roger Ingram has supported farmers and ranchers in Nevada County. After 28 years with UC Cooperative Extension, Roger believes the primary challenges facing local agriculture are: Economic viability, attracting a new generation to become farmers and ranchers and access to resources and capital. Ingram sees BYLT’s work to preserve historic farmland as critical to the local food supply. In recent years, Ingram’s efforts have focused on food security, coinciding with a growing community awareness and appreciation for a local food system. Ingram was part of the team that helped establish Nevada County Grown. For 30 years, Elizabeth “Izzy” Martin has been a leader in environmental advocacy and community organizing, working with a diverse constituency – from farmers to rural environmentalists. 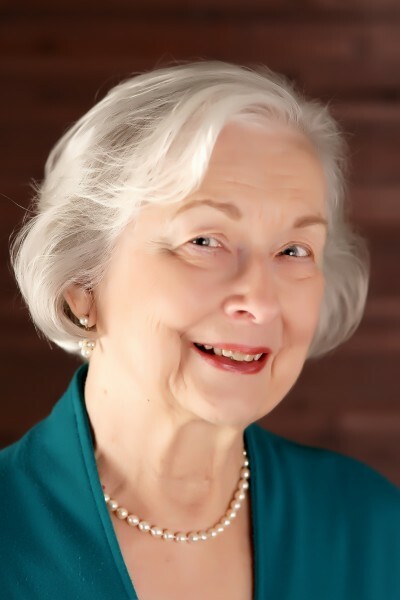 Izzy served as a Nevada County Planning Commissioner from 1991 – 1998 and County Supervisor from 1999 – 2002. 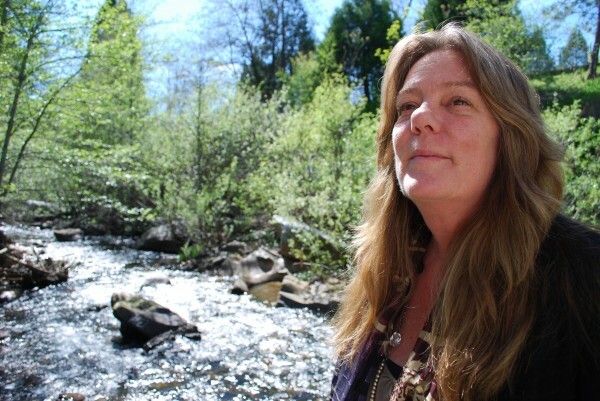 She led the fight in the state legislature to put the South Yuba River into the state’s Wild and Scenic river program. In 2004, Izzy worked with Assembly members John Laird and Tim Leslie to establish the Sierra Nevada Conservancy. That same year she took the helm at The Sierra Fund. Most recently Izzy and The Sierra Fund helped Bear Yuba Land Trust secure funds for the acquisition of Rice’s Crossing Preserve. Since 1969, Andy Cassano has been a local leader in all aspects of land surveying, city and regional planning, environmental planning and land conservation for community development. He was involved in planning for some of the most important civic projects in our community including: Nevada County Campus of Sierra College and the City of Grass Valley Wastewater Master Plan. 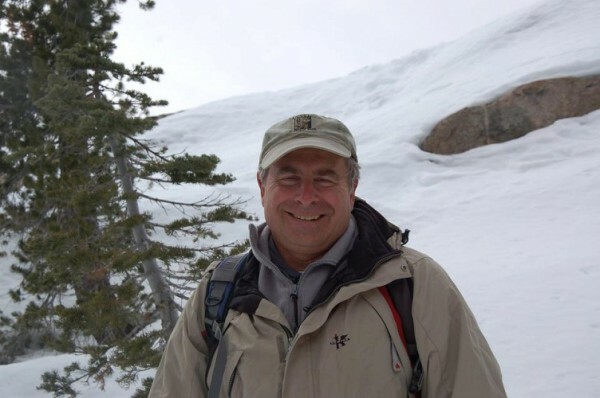 Andy worked extensively on projects such as Alta Sierra, Tahoe Donner, and portions of Lake Wildwood and Lake of the Pines. In addition to private sector work, Cassano served contractually as the first official City Planner for the City of Nevada City. 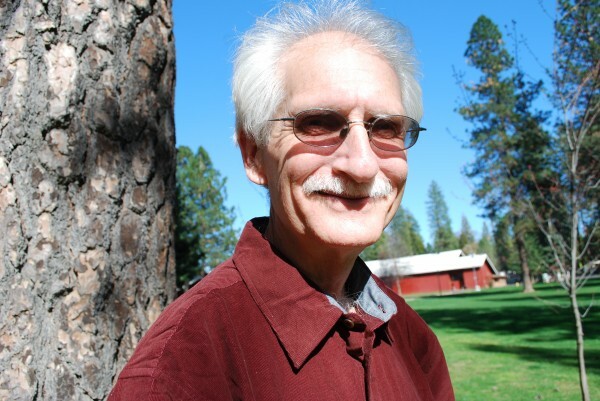 Andy was an early leader of Nevada County Land Trust (today Bear Yuba Land Trust) for 9 years as Chairman of the Lands Committee and in 2004 and 2015 as President of the organization. Under Andy’s leadership, nearly 5,000 acres came under the protection of conservation easements and many of the area’s most beloved trails were built. Geri Bergen was the first female line officer in the Forest Service, first as deputy forest supervisor and then as forest supervisor of the Tahoe National Forest. An active member of the Society of American Foresters, she has successfully made her way in a previously male-dominated federal agency. Geri also participated in volunteer conservation activity with Save San Francisco Bay Association, People for Open Space, and Richmond Citizens’ Planning Association, and Richmond Recreation and Parks Commission. She has been a very active member of the Society of American Foresters. Since her retirement, Bergen served as a board member and president of Nevada County Land Trust. 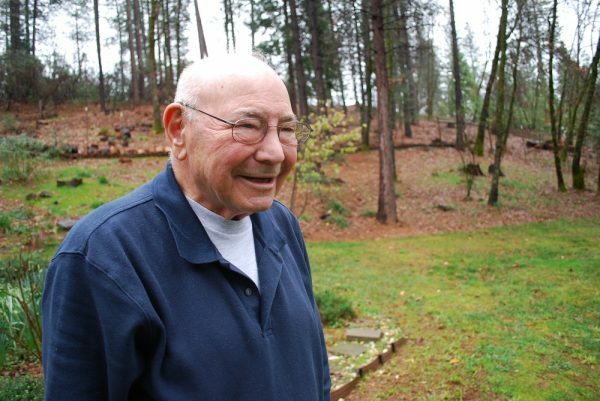 A longtime resident of Grass Valley, John was a mentor for many agricultural and environmental professionals in our community. He has served in a number of agricultural and community service committees and positions, including: manager of the Nevada County Farm Bureau, past president of the Retired Public Employees Association, the Nevada City Rotary Club, and the Nevada County User Fee Committee. 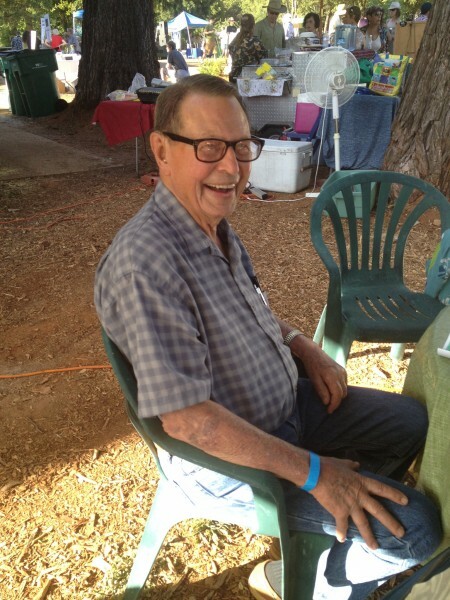 John is also a retired Nevada County Agricultural Commissioner and former president of the Nevada County Fair and Nevada County Land Trust Boards. He was on the boards of the Nevada County Resource Conservation District, LAFCO, Economic Resource Council, California Biological Control Committee, High Sierra Resource Conservation and Development Council, Yuba Watershed Foundation, and the North Star Historic Conservancy. Founder of Independence Trail, John Olmsted was a noted naturalist, educator and volunteer conservationist. His life was dedicated to the land ethics and land preservation traditions of John Muir. 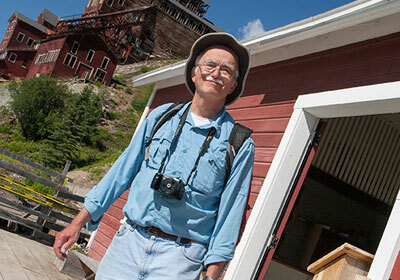 He worked tirelessly to preserve wild areas, open space, trails, parks, and rural landscapes. In 1969 John rediscovered many rock-lined ditches and wood flumes previously known as the Excelsior Canal, overlooking the South Yuba River in Nevada County, becoming the origin of the Independence Trail — the nation’s first wheelchair accessible wilderness trail. In addition he helped to create the 2,250 acre South Yuba State Park. 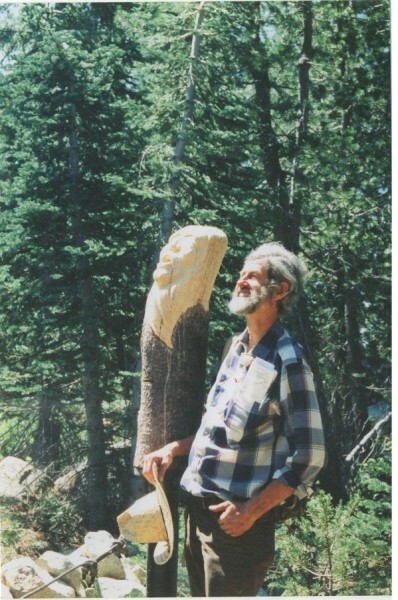 He founded the California Institute of Man in Nature in 1968 and Sequoya Challenge in 1974 with the purpose of restoring a living thread of landscapes – a necklace of parks across California – from Jughandle State Park in Mendocino to Lake Tahoe. BYLT’s first award recipient, Bill’s entire career has been focused on conservation of land in the California foothills. During his years with Bureau of Land Management as the acquisitions specialist for the state of California, Bill worked closely with The Nature Conservancy, Trust for Public Land, and several land trusts. He was instrumental in saving habitat for the California Condor and was on the Board of Directors for Rails-to-Trails Conservancy. Bill fostered the creation of the first Nevada County Land Trust conservation easement, the Round Mountain Wildlife Preserve, a 160 acre parcel of land just outside Nevada City. Round Mountain Wildlife Preserve became the first successful conservation easement and established the Land Trust’s role of land steward. He launched the Treks for Health program and developed a series of outings with FREED a series of outings called “Treks for People with Limited Mobility.” William Nickerl passed away on November 30, 2017 at his home. Ron Mathis served as Director and Treasurer of the North Star Historic Conservancy from formation until 2014. The Conservancy was created for the purpose of rehabilitating the 14-acre parcel containing the North Star House designed by renowned architect Julia Morgan. 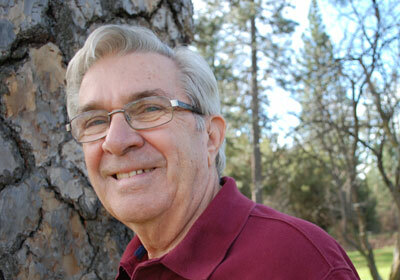 Ron also served on the Nevada County Land Trust Board of Directors from 1996 to 2008. Warren, 83, drives 55 miles one way from his home in Fair Oaks to volunteer on Independence Trail. He started on the board of Sequoya Challenge more than a decade ago when he was in charge of trail maintenance. When the nonprofit group founded by late naturalist John Olmsted disbanded, Wittich continued to devote his time to the nation’s first wheelchair accessible trail known for its Gold Rush-era wooden flumes and converted water ditches. With the trail now co-managed by CA State Parks and BYLT, Wittich works at least one day a month with BYLT’s Land Access Manager Shaun Clarke and volunteers to keep the trail in good working order. Wittich is optimistic that the community can come together to raise awareness and funding to restore the dilapidated wooden bridge at Rush Creek. Geologist and Paleontologist David Lawler, is the Executive Director of Farwest Geoscience Foundation and for more than 20 years a volunteer leader of BYLT’s popular outings to Chalk Bluff and Henness Pass. At age five, David found his first fossils at Pyramid Lake, Nevada, while on a mineralogy field trip with his parents. As a teen, David participated with University of California research expeditions, collecting dinosaurs, other primitive archosaurs and early amphibians in the Southwest U.S. and Canada. At age 21, his paleo research culminated in the discovery of an early Jurassic missing link dinosaur “Scutellosaurus lawleri” on the Navajo Indian reservation in Arizona. In 1990, “Dino Dave” founded Farwest Geoscience Foundation, an interdisciplinary group devoted to geoscience research and education. The Foundation provides talks, field trips, walks, workshops and publications on geoscience. David has worked as a mineral commodities specialist in Latin America, organizing many exploration teams in the Amazonian rain forest and mountain regions of northern South America. He spent a decade working for the federal government as a minerals specialist and California abandoned mine expert and in 2006 his team was honored in Washington, D.C. with the National Environmental Achievement award for developing toxic mercury remediation methods at an abandoned hydraulic mine site in Nevada County. Clarence Motter loves the outdoors. He can’t remember a time when he wasn’t curious about what he would find on the other side of the mountain. 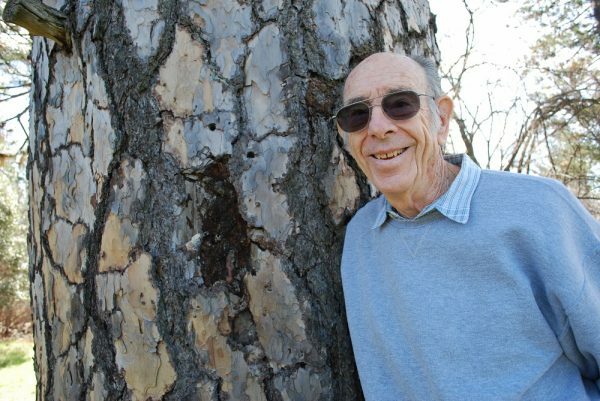 Adventurous, inquisitive and always seeking new discoveries, Motter has led multiple treks for Bear Yuba Land Trust over the years. A long-time member and volunteer, Motter helped build and maintain trails like Rattlesnake Ridge, Independence Trail and the connector to Cascade Canal. He helped paint the North Star House during the early years of restoration. In many ways, Land Trust values – like preserving open space and getting people outdoors – mirrors Motter’s own life path. 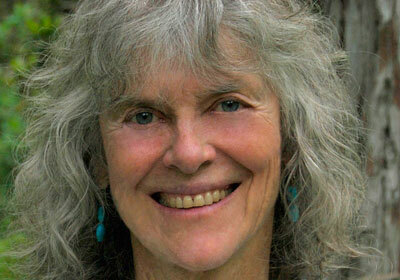 For over 35 years, as a writer, photographer and botanist, Julie Carville has led wildflower field classes in Tahoe, Pt. Reyes and Nevada County. Locally she has led walks for Bear Yuba Land Trust, Yuba Watershed Institute and the Native Plant Society. She created Mountain Gypsy Wildflower Seminars offering wildflowers field classes to children and adults. Carville is the author of Hiking Tahoe’s Wildflower Trails, (aka. Lingering in Tahoe’s Wild Gardens), a contributing author of California’s Wild Gardens, and co-author of Wildflowers of Nevada & Placer Counties, CA and Trees, Shrubs & Woody Vines of Nevada & Placer Counties, CA. Hank Meals, archeologist, writer and photographer worked off and on as an archeologist for the Tahoe National Forest for 25 years. His resume includes photojournalism, tree planting, fire fighting, trail construction, cone gathering, wildlife habitat improvement, archaeology, trail guide and interpretation. 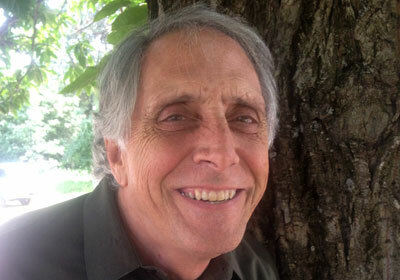 He is the author of several books about trails: The River: Hiking Trails and History of the South Fork of the Yuba River and Yuba Trails 1 and 2 and is co-authoring a book about the Nisenan people. 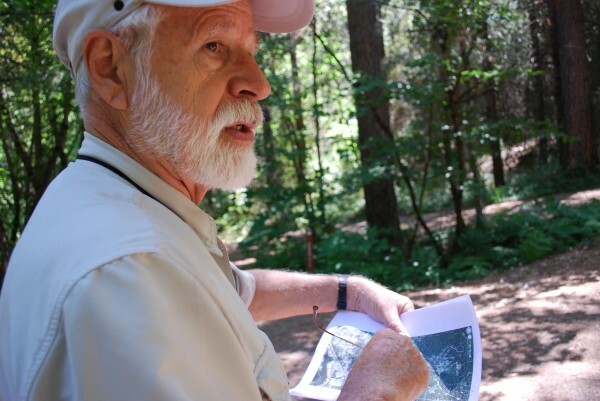 Meals began leading hikes for Bear Yuba Land Trust more than 20 years ago and his knowledge of local history and trails remain popular draws. In 2013, Greg Archbald received the John Skinner Sierra Outdoors Recreation Award for Volunteerism. He has devoted his life’s work to conservation. Greg was one of the first environmental attorneys in California and an environmental activist during a time when the coastlines of Marin and Sonoma were being saved from development. He co-founded The Trust for Public Land with Huey Johnson in 1972. He set precedent with his ideas about citizen volunteerism and the natural resource stewardship programs he helped start at the Golden Gate National Parks are going strong to this day. In 2009, Greg worked with Bear Yuba Land Trust Trails Coordinator Bill Haire and his hiking friend, the late John Skinner in an effort to inventory local trails for BYLT’s online trails portal.